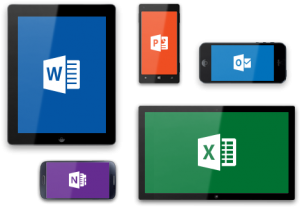 Microsoft recently released Microsoft Office for iPad and iPhone. The application allows the consumer to view and edit documents. However, in order to edit documents the consumer must pay for a subscription to Office 365. Today Microsoft announced a new price point for consumers. A yearly subscription to Office 365 Personal costs $69.99 and a monthly subscription costs $6.99. This subscription allows the consumer to use Office 365 on one PC and one Tablet. Do you think Office 365 can compete with free services like Google Documents? Super Smash bros for N64 is one of the greatest games of all time. The game pits famous Nintendo characters against each other. The game was released on April 26, 1999. Super Smash Bros for N64 paved the way for Super Smash Bros Melee and Super Smash Bros Brawl. The game has 12 playable characters and 9 stages. The characters include Mario, Luigi, Donkey Kong, Yoshi, Link, Samus, Kirby, Fox, Pikachu, Jigglypuff, Captain Falcon and Ness. Four of the characters must be unlocked in Single Player Mode. The Single Player mode is a series of battles that pits you against different Nintendo characters. The final boss is the Master Hand. I really enjoy single player mode but the multiplayer is what really makes this game special. This game introduced me to several of Nintendo’s core franchises including Metroid and Starfox. I grew up playing and loving Super Smash Bros. I really like the game because it pits famous Nintendo characters against each other. I also like the challenge of defeating my friends and family. Super Smash Bros is a game that is easy for anyone to pick up and play. I enjoy the randomness and chaos that the game has to offer. The game also has a variety of items such as the beam sword and hammer. These items add to the chaos. Super Smash Bros for N64 is not perfect. The graphics have not aged well and the amount of playable characters is small. However, it is still a really fun and exciting game because of the core concept. I give Super Smash Bros for N64 a 8 out of 10. Nintendo recently revealed a new trailer for Mario Kart 8. The trailer shows off new courses and new items for the upcoming game. Some of the new items include the coin item, the piranha plant item, and the boomerang item. The trailer also shows off the new Rainbow Road stage in Mario Kart 8. The game looks fantastic and I can’t wait to play it when it comes out on May 30th, 2014. Will Mario Kart 8 be the best Mario Kart to date? Yesterday Amazon announced a new set top box. It is called the Amazon Fire TV. It is set to compete with the Apple TV, Roku 3 and Google Chromecast. The Amazon Fire TV is a very powerful and capable machine. It has a Quad-core processor, 2GB of memory, 1080p video output and Dolby Digital Plus surround sound. 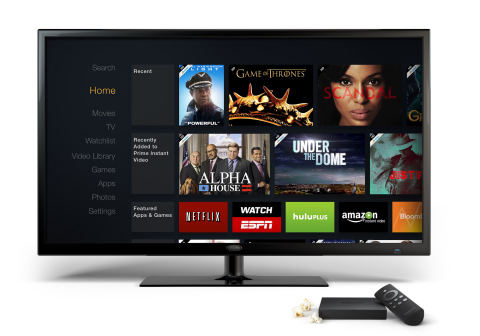 The Fire TV will run applications such as Netflix, Amazon Instant Video, Hulu Plus and Youtube. The Set Top Box will also be able to play games such as Minecraft, Asphalt 8 and Sev Zero an Amazon exclusive. The Amazon Fire TV costs $99 and users can get a gaming controller for $39.99. Is the Amazon Fire TV a game changer or just another set top box?